Paris is great, and if you have the time and means we highly recommend that you go. Paris is not, however, the only great place in France. You know this; you just don’t necessarily know what those other great places are, aside from Marseilles or maybe some beaches along the French Riviera you stumbled across whilst Instagram-stalking famous people through Cannes. If you’re still on the fence about going all the way to France without seeing Paris, it may help to learn that accommodations in places that are not Paris tend to be around 25% to 40% cheaper than accommodations in places that are Paris. There are a lot of university towns, a lot of young energy and good nightlife! Check out these underrated cities you definitely need to add to your list next time you head out to France! Nantes is a lively college town. It is a white-wine capital. It is the birthplace of the Surrealism movement. It is home to a 39-foot-tall walking mechanical elephant, which you can ride around the city from lofty terraces built into its back as it sprays delighted/terrified/befuddled tourists with water from its giant mechanical trunk. The Grand Elephant was upgraded this year to be a hybrid vehicle, so you may now address it as Eco-friendly Grand Elephant. Is this a luxury for only the very rich, you might ask? A ride aboard the Eco-Friendly Grand Elephant will run you less than $10. The elephant is actually just one component (though certainly the most imposing) of a project that’s filled Nantes with interactive steampunk art. You might enjoy the 80-foot-tall carousel straight out of the most disturbing parts of Twenty-Thousand Leagues Under the Sea. Plan your visit for the summer, when the city fully transforms into essentially one large art exhibit. Don’t worry about missing the best spots; all you have to do is follow the green line already laid out at your feet. As previously mentioned, if you’re jumping from town to town you should consider driving, but for the equivalent of around $10 you can also catch a three-ish-hour train ride to Le Havre. Americans have a pretty good idea of what they think quintessential European towns look like. If you’d like to be shaken from that kind of assumption, you should go to Le Havre. After bombs eviscerated it during World War II, this Normandy town — not far from the landing beaches of D-Day — was eventually rebuilt almost entirely out of reinforced concrete. It is different. 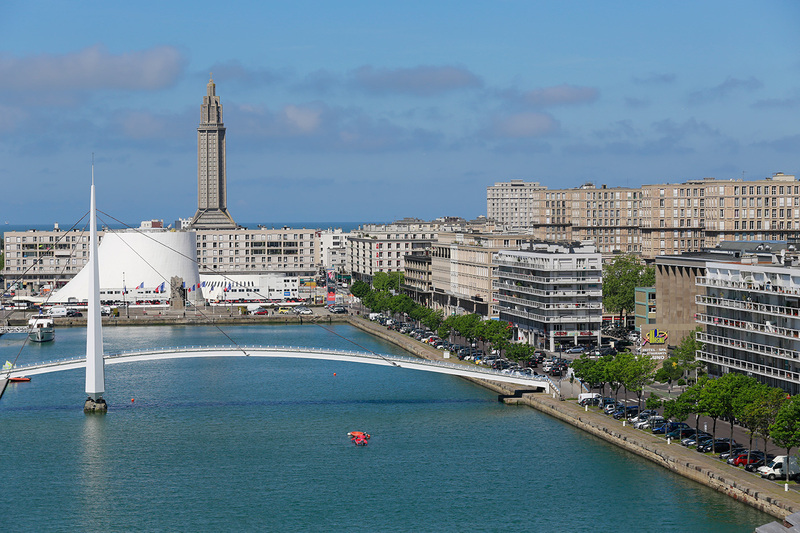 Don’t get it twisted; this is still French enough for you — Le Havre has a world-class modern art museum containing the country’s second-largest collection of impressionist paintings, for those who still need a little Monet to feel like you’re really doing France. And though initially dismissed as ugly, Le Havre has in recent years begun to work its uniqueness to its advantage, blossoming into a marvel of modern architecture. Look at the museum-worthy design of Les Bains des Docks, a behemoth pool complex modeled after the Roman baths where you can swim indoors, outdoors, under skylights and waterfalls. La Rochelle is another port city that doubles as a young, happening university town, but it’s also an unusually good place for just kind of… falling off the map for a bit. La Rochelle has one of the best aquariums you’ll find anywhere, which can be an especially fun draw if you’re packing kids on your trip. If you’re a history buff, don’t miss Tour de la Lanterne, the last surviving medieval lighthouse along the entire Atlantic coast. Amble through the magnificent old harbor, known as Vieux Port, where you’ll see colorful little fishing boats bobbing placidly in the docks. 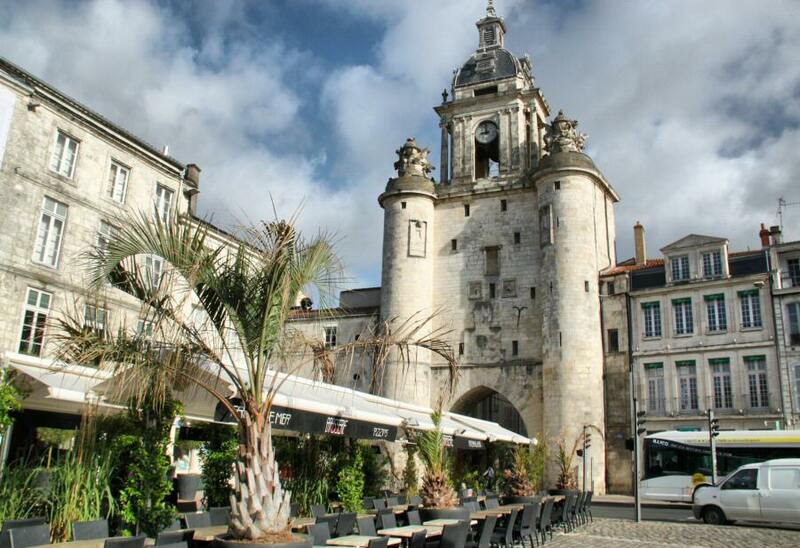 La Rochelle was the first French city to create a pedestrian-only section in its historic center, so this is really a place to come when you want time to slow down. Spend your mornings at a food market (generally speaking, most food markets around the world are best in the mornings) and then head to the Tourism Information Office and pick up one of their signature yellow bicycles (it costs just a few euro per hour). Ride that bicycle right over a long bridge that takes you to the island Ile-de-Re, where you’ll find the sort of little white houses with blue-green shutters almost reminiscent of Greek islands. Lots of French nationals vacation here, but word of mouth hasn’t quite made the jump across the Atlantic. Ile-de-Re is an excellent place to camp, both because it’s cheaper (especially in the summertime, when the island gets more crowded) and because, again, this is your time to get back to a slower, calmer, generally chiller way of life. And yet, like La Rochelle, there’s a duality about it where you can be “fancy” if you like here, too. Go right from a morning of bodysurfing to an afternoon of sampling artisanal ice cream in flavors like oyster, caviar, and Thai sorbet.